With much publicity and rain, the 2010 Ryder cup continued to be a success with thanks to fibre optic solutions provided to Advanced Satellite Solutions by Twisted Pair Technologies. 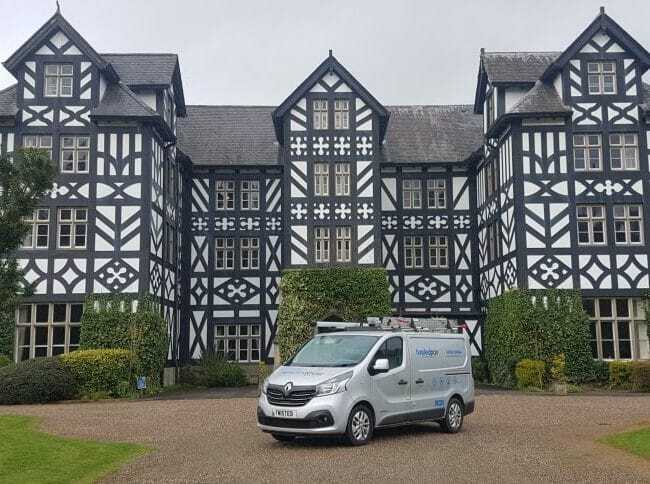 Our team of Engineers were responsible for the full fibre optic link up of all IT systems at the Celtic Manor resort. This included over 30 full size out door screens, 10 Scoreboard informations systems. In total over 1200 fibre splices were required and over 13Km of single mode fibre optic cable. We are then on call through the duration of the tournament to ensure the systems worked perfectly. With such a high profile tournament and the media watching the failure of any system was not an option. We were contracted in by Advanced Satellite Solutions to complete 75% fibre optic infrastructure to support the media network through the event. The network was single mode fibre optic with breakout points at each hole. Over 1200 splices in total. We have utilised the experience of Twisted Pair Technologies for a number of projects and found them to be reliable and industrious. They have shown great enthusiasm for the job in all weathers and conditions, meeting all deadlines and challenges set them…They installed/tested/commissioned 90% of our Single mode Fibre backbone and over 100 Wireless access points providing the complete fibre optic infrastructure for the Ryder Cup 2010 Event. I have enjoyed working with the guys and would have no hesitation in recommending them to anyone.